With every project, safety should be a priority. As more individuals are involved with a piece of equipment, the probability of injury rises significantly if each person is not provided the same information regarding the safety and risks of a machine. 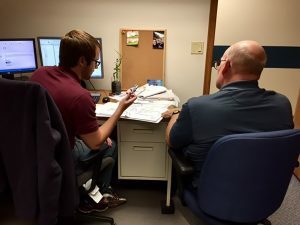 Incorporating the right people right from the start of a safety risk assessment can help mitigate the frustration during design and implementation phases and ultimately the entirety of a project. What is a safety risk assessment? A safety risk assessment is an essential part of machine safety. When done properly, the assessment will identify all hazards and risks associated with the machine for all user groups. This includes the machine operators, engineers, calibrations, maintenance, etc. Once the hazards are identified, a level of risk is assigned to each. This risk level is determined by the severity of harm possible, the frequency of interaction with the hazard, and the possibility of avoidance of the hazard. Based on these risk levels, a safety Performance Level requirement (PLr) is determined, which dictates how the safety system for the machine will need to be designed. Why is it important to involve multiple user groups when conducting the assessment? This is a very important aspect of a risk assessment. To accurately identify every hazard, input from multiple groups is needed. For example, an operator who uses the equipment will likely not perform the same tasks as a maintenance or calibrations technician. For diagnosing an issue with the machine, maybe the technician has special permissions that allow them to run the equipment while bypassing a guard or an interlock, which exposes them to a hazard that the operator would never encounter. Or perhaps a separate cleaning staff needs to crawl inside or around a machine to properly clean it, thus potentially exposing them to even more hazards. It can be very easy for just one group of users to look at a machine and clearly identify some of the hazards, but without knowing exactly how each different user group interacts with the equipment it is almost a certainty that some hazards will be missed. At the end of the risk assessment, a PLr is assigned to the equipment. This PLr is completely dependent on the risks identified and can affect the overall design of the safety system. In addition, only the risks identified by the assessment will be mitigated and included in the safety system. This includes any potential machine modifications as well (fixed guarding, etc.). It can be a costly error to perform an incomplete risk assessment. It can lead to project delays, extra costs for new or different parts, and redesigning of the system. 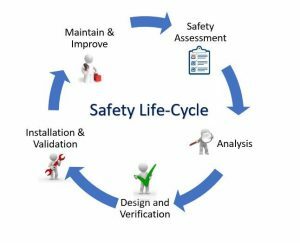 Imagine a scenario where the safety system has been completely designed and all the parts have been specified, and then someone who interacts with the equipment points out another risk relating to a task that they perform. Suddenly, the system that has been designed no longer works and the project potentially gets delayed . It’s important to gather input from everyone who interacts with or has an interest in the machine to properly identify all risks and ensure that the new safety system reduces those risks to a negligible level. This also prevents any users getting blind-sided by new safety procedures or interlocks that prevent them from being able to do their job. Involving multiple user groups during a risk assessment will ultimately result in a safely designed system for everyone and will help all phases of the project flow smoothly.